Preview Mortar Color with our SGS Mortar Color App! See how mortar truly affects any masonry surface. Solomon Colors Mortar Colors are available in unique pre-weighed and pre-measured amounts to assure accurate color consistency. The A, H, and X series offer 60 standard colors pre-measured for use in mortar and other mixes. Distributors across the country carry Solomon Colors Mortar Colors, ensuring fast delivery and easy availability. As with our other coloring products, the Solomon Colors Color Laboratory can assist in color-matching and custom blending, making your project exciting and bringing your design to life. 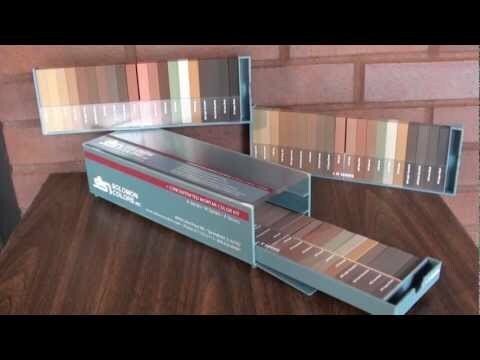 Whether you are building a new home or a new home field, Solomon Colors is the most trusted mortar color. Mortar makes up a surprisingly large portion of the surface on a brick or masonry wall. While most people may not think to pay attention to what lies between the bricks, the effect of colored mortar is undeniable. By adding mortar color, any brick or stone wall can be easily enriched and given that extra touch of class. Make your home, fireplace, or retaining wall stand out in a classic, dignified way. Solomon Colors Mortar Colors have set the standard for decades as the most consistent and most frequently specified mortar colors. Our consistent coloring and depth of color choices enhance the beauty and value of brick, stone, and colored concrete block. Since the mortar joint makes up about 20% of a brick structure’s surface area, coloring the mortar enhances the building’s appearance. You can choose from 60 standard A, H, and X series colors or use our Color Laboratory to custom-match colors to perfectly fit your design. Mason Contractors rely on Solomon Colors Mortar Colors to provide consistent and reliable colors, making their job easier. All Solomon Colors Mortar Colors are shipped in pre-weighed and pre-measured packages, making work at the job site faster and easier. Each package, designed as one color unit, is added to one bag of prepared masonry cement or the weight equivalent of portland and lime mortars. America’s Center Convention Complex in St Louis MO is home to four distinct meeting facilities under one roof: Cervantes Convention Center, the Edward Jones Dome, the St. Louis Executive Conference Center and the Ferrara Theatre. Solomon SGS, A series Mortar color was used in this project. This Brick fireplace was built with Solomon colors SGS 30A mortar color. Built 28 years ago, the mortar color has held up and looks like it was finished today. Chaifetz Arena opened in April 2008, after years of planning for an on-campus multipurpose facility that would be home to SLU men’s and women’s basketball and women’s volleyball, and could host a myriad of other events. The stadium used Solomon A series Mortar Color 30A. SGS 30A is a red tone brown color that complements the bricks very well in this project. The City of Arnold Recreation Facility features a two court gym, indoor leisure pool, fitness center, party room, track, locker rooms, three meeting rooms, and a lounge complete with a large seating area. Solomon Colors, SGS H Series Mortar Color was used to enhance the appearance of the outside brick walls of this state of the art facility. Coors Field is a Brick and Mortar baseball venue located in Denver, Colorado. It is the home field of Major League Baseball's Colorado Rockies. Solomon Colors, SGS 10H Mortar color was used on this great stadium.